Russia’s true turn to the East is just beginning. It focuses on creating new internal (organizational and legal) conditions for the accelerated development of Siberia and the Russian Far East, imparting new qualities to the Russian presence in the Asia Pacific region, building up trade, economic and political ties with countries in Asia, and organizing a new co-development space in Eurasia. The turn is a three-pronged process, with each of the prongs needed for successful development of the other two. The turn is not a U-turn away from Europe but a pragmatic orientation to new opportunities and Russia’s striving to be up to the modern world’s requirements. There are objective conditions and prerequisites for a turn to the East, which is likely to benefit all regional players. If successful, Russia and its regional partners will bring more peace and prosperity to Asia and Eurasia. And none of the contradictions referred to in the context of this turn is objective. The biggest Eurasian powers – Russia and China – are moving towards each other and seek to coordinate their regional projects. In effect, this means that they are sponsoring the emergence of a new community in Eurasia. At the same time, the turn to the East has been met with both external and internal opposition. Players outside of the region view Asia and Eurasia as an arena of struggle, where they can try to pit Russia and China against each other and exploit their alleged antagonisms. They seek to keep Asia split with the help of a system of bilateral military alliances and obstruct the emergence of an inclusive security community in the APR. The West felt a real shock watching Moscow and Beijing make strides in their political relations in 2014 and 2015. Today, however, our Western partners tend to focus on the fact that China was not ready to clearly declare in public that it was willing to support Russia economically when the sanctions war was declared. The military and political crises in Europe and the Middle East have been distracting Moscow from the strategically more important Eastern vector. As it was mentioned in the first part of the Valdai Club report, Russia is still inconsistent in its cooperation with international political formats in Asia; often it does not come where it is expected. Every opportunity must be used to communicate with regional political and business leaders. We should understand what the “demand for Russia” is all about and what benefits we can derive from it. Russia is not doing enough to turn Siberia and the Russian Far East into a territory where foreign investors feel more comfortable than elsewhere. Yet, important steps have been made in this regard and positive dynamics have emerged. The important thing is not to pause and instead persist in informing our Asian partners about new opportunities. A crucial domestic policy task is the need to extend the successful Far Eastern business practices to Siberia. This is of particular importance in view of the need to involve Russia’s Siberian regions in co-development projects in Central Eurasia. The regional authorities in such centers like Tyumen, Krasnoyarsk or Novosibirsk should roll-out their own trans-border cooperation projects with the participation of leading development institutions. The behavior of Russia’s key partners in the region – China, Japan, and the Republic of Korea – also displays inertia and a bent for only reaping short-term benefits. Fears and uncertainty persist. Russia fears that China will turn toward the US. In China many are afraid that Russia will cave in under the weight of its geostrategic commitments and revert to a quasi-colonial status in relations with the West. Despite the historically unprecedented scale of political trust, the point of no return has not yet been passed. Our aim is to make the strategic rapprochement and unprecedented trust between Russia and China irreversible. Our relations must become more transparent and their cooperative philosophy more mature. They should assume a long-term strategic nature and rest on a firm institutional foundation. It is also necessary to prevent external forces from being able to kindle distrust between Russia and China. Citizens of both countries need to expand contacts and this can be accomplished by introducing visa-free travel. This will make it possible, as early as in the mid-term, to come close to establishing in Eurasia a new international political entity based on common interests and many shared values. This will rally Eurasia and make it an independent center of power and influence on a global scale. Russia and the PRC’s shared interest in preventing potential instability in Central Asia from relaying to their territory has led them to choose cooperation over a model of competition. Potential instability in Central Eurasia is an ideal challenge of sorts for Russia and China, one that can only be met with the help of a positive-sum rational game. The effort to stabilize the region is likely to be a rallying factor for Moscow and Beijing in the context of general global affairs. Reconfiguring international economic governance is irreversible. Major transcontinental associations are emerging and the two most important Eurasian powers obviously have no alternative to further rapprochement. Aligning the development of the Eurasian Economic Union and the Silk Road Economic Belt is one of the most forward-looking concepts for cooperation among a big group of states. Its aim is creating a synergy between the two projects and organizing a new co-development area around Eurasia’s transport and logistical framework. This synergy should result in the world’s biggest cooperation region located in and around Central Eurasia. But as we move towards Greater Eurasia’s new community, we should address a number of institutional issues, determine industry-specific priorities for trans-border cooperation and rules of the game, and gauge up each partner’s benefits and contributions. This cooperation is based on an understanding that none of the discussed differences between the leading states in Central Eurasia is profound, let alone antagonistic. Russia, China, Kazakhstan, the former Soviet Central Asian states, Iran, and Mongolia are facing common external and in a number of cases internal challenges. These are religious extremism, environmental threats, water shortages, drug trafficking, and negative impacts of policies pursued by certain non-regional power centers. They need greater socioeconomic stability and growth rate sustainability. All of them need a bridgehead for more staggered policies to preclude the destabilization of Afghanistan and the spread of instability from the Middle East. It is necessary to consolidate the region’s development agendas and to strengthen international security cooperation between the local states. 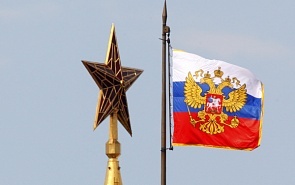 Eurasian integration is the flagship project that Russia and its partners have mapped out for the next few decades. Launched on January 1, 2015, the Eurasian Economic Union (EAEU) is laying the foundation for legal frameworks enabling a joint breakthrough. It is also creating a tool for preventing and settling interstate disputes. The EAEU has been established to enable comprehensive modernization, cooperation and greater competitiveness of national economies. The union is also meant to create conditions for stable development and better living standards in the member-states. Accordingly, the EAEU provides for free movement of goods, services, capital and workforce and works to coordinate and synchronize economic policies in different areas. Thanks to the EAEU, there is just one customs border left between China and the EU. Added to the common customs office, the EAEU’s main achievement to date, are common phytosanitary norms. These legal and bureaucratic instruments can create huge practical opportunities for border trade within the EAEU and on its external borders. But for this to materialize, we should expedite the development of a unified EAEU-China agenda. The EAEU Treaty offers a roadmap for progress towards a common market and possible exemptions. It is planned to consolidate regulation of pharmaceutical industries in 2016, to create a common power and energy market in 2019, to institute common financial mega-regulators in 2022, and to form a common market for oil, gas and petroleum products between 2024 and 2025. This in itself will facilitate the development of related clusters in Eurasia. The SREB initiative was announced by PRC President Xi Jinping at Nazarbayev University in Astana in September 2013. Its aim is not only to solve China’s domestic economic problems but also to ensure regional political and economic stability on the basis of large-scale investment and infrastructure projects and a policy to include the region’s countries in common production chains. The SREB is not just a transit and transport project. It is an offer of economic development for a number of states, complete with numerous infrastructural, production, trade and services projects. If implemented, this will make it possible to provide a stable and secure environment for the development of both western China and the whole of Central Eurasia by unlocking its full potential. But despite the clarity of objectives, the Chinese idea was initially devoid of specifics, something that led to its controversial interpretations by other players. Conscious that coordination affords a lot of opportunities for Greater Eurasia as a potentially advanced region in many respects – industrial, technological, logistical and cultural – the leaders of Russia and the PRC signed, on May 8, 2015, a joint declaration on cooperation in aligning the development of the Eurasian Economic Union and the SREB. The declaration was joined by Armenia, Belarus, Kazakhstan and Kyrgyzstan. Along with creating mechanisms facilitating bilateral trade between the EAEU and China, the sides expressed readiness to promote cooperation with reliance on the SCO, the Asian Infrastructure Investment Bank, and the Silk Road Fund. Our task for now is to determine what institutional forms would be optimal to make the emergence of a community of interests and values in Central Eurasia irreversible. These institutional forms should be comprehensive and inclusive, combining politics and economics as well as “soft” and “hard” power. They should also be palatable for the great, mid-sized, and small powers. We hold in our hands potentially excellent institutions for international cooperation and development: Eurasian integration, financial institutions of the Silk Road and the Asian Infrastructure Investment Bank, the Shanghai Cooperation Organization, ASEAN multilateral formats, and much else. We should work to improve them and make them mutually complementary. And, most importantly, the SCO’s development and institutionalization are likely to result in an umbrella for a Greater Eurasian Community of Development, Cooperation and Security, which will be certainly open to the western part of the continent – Europe.